Do you need to take control of your health? Today’s blog post is for anyone who feels run down most of the time, waking up most mornings feeling just not right and who want to take control of your health. Do you have trouble finding the energy to complete normal day-to-day activities? Do you worry that your future will be one of dependence on medications, doctors and therapy if you don’t act soon? Do you have difficulty getting a restful night’s sleep? This blog post is going to help get you sorted if you have said yes to one or more of the above. If you don’t act now and get yourself right more likely than not you’re going to see things getting worse. I’m not saying that to frighten you but to get you to take action so as to ensure you take control of your health. By learning to take control of your health you are giving yourself the possibility of creating that energetic, fit, lean and youthful body you have always dreamed of. 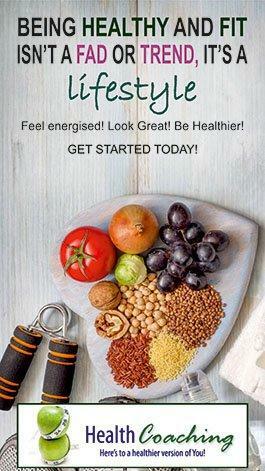 Looking good and feeling great, just what lifestyle changes are going to help you achieve. It’s too often these days that I see how so many people maybe like you, who struggle hopelessly with health issues. It is getting more and more common place. There doesn’t seem to be an age divide either. 20 something to 60 something are all seemingly struggling with long term health problems. There is no disputing that there are certain behaviours which are bad for your health. Things that could be having a large impact. We are talking about eating too much unhealthy food, drinking more alcohol than is recommended, smoking and not being active enough. The epidemic of ill health is rooted in unhealthy living, so you must face the question of how to create a healthy lifestyle for yourself. Well you’re in the right place and this article is going to lay down for you the best habits you need to adopt. The bad habits that many of you have, such as unhealthy eating, lack of exercise, smoking and drinking have been found to contribute to around 40% of all deaths in England – and cost the NHS more than £11 billion a year. Pretty damming statistics, and hopefully reading them will finally make you commit to take control of your health and implement incredibly wise healthy lifestyle choices. I’m going to say something that may be deemed quite controversial. I believe there is something worse than death. While life expectancy at older ages being at record levels, many people are spending 20 to 30 years of their life in ill health dependent on medication. If you want to avoid this, or you’re someone already experiencing ill health desperate to find a way to bring about vast improvements then give yourself the time needed to read this article. Don’t stop there because the key is for you to begin adopting these healthy lifestyle habits. I have been through a period of ill health and for a time didn’t believe I would ever know what it was like to feel healthy again. Despite all my knowledge, years of being a fitness instructor and owner of a chain of gyms, nothing I tried made the slightest difference. Then I learnt a few new things. Adding what I learnt to what I knew led to me seeing incredible health improvements and could do the same for you. Do you have anything to lose by trying? If you are ready to take control of your health these are the things you have to do. The key is changing your behaviours. You see, my experiences have shown me that by being armed with the right information about healthy lifestyle habits, many of people’s ongoing health issues could be resolved, and might even have been prevented in the first place. By definition, many people think of chronic diseases as being without a cure. But there can be an effective strategy to prevent, reverse or treat many lifestyle-related chronic diseases. Things like lacking in energy or feeling lethargic will certainly be helped if not eliminated by these behaviours. 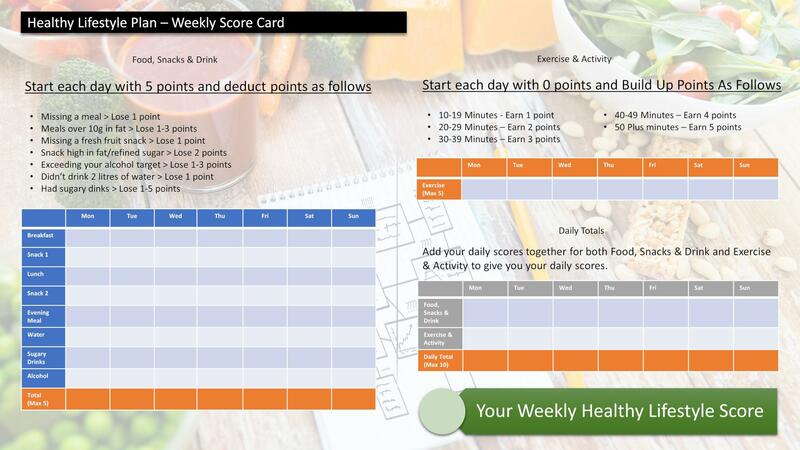 I’m starting right up front with the biggest change you need to make in order to take control of your health. I have seen the healing power of food (the right food) and know what it will do for your health and well-being. My belief is that chronic obesity, cardiovascular disease and other health related issues are more a result of modern diet than anything else. A simple trick to radically increase the percentage of raw food in your diet and cut out animal flesh. You will then consume less saturated fat and cholesterol and more vitamins C and E, dietary fiber, folic acid, potassium, magnesium, and phytochemicals (plant chemicals), such as carotenoids and flavonoids. As a result, you will lower cholesterol, blood pressure, and body mass index (BMI), all of which are associated with longevity and a reduced risk for many chronic diseases. I’m not saying cut out dairy products and eggs, just red and white meat. You need to make sure you get enough protein. Choose beans, peas, nuts, and seeds, as well as eggs. Fish is a great option. Broil, bake, steam, or grill it. Fish that naturally contain more oil (such as salmon, trout, herring, mackerel, anchovies, and sardines) have more omega-3 fatty acids than lean fish (such as cod, haddock, and catfish). Drastic maybe, but if you feel run-down, unhealthy most the time this lifestyle change will make a huge difference. TRY IT! The healthiest advice I can give you is eat more fresh, whole foods and consume fewer processed foods. Processed foods include any food that has been deliberately changed before we consume it. I really feel that most processed, packaged meals need to be avoided. If man has taken part in the manufacturing process of food simply don’t eat it. Most processed foods that have been developed by the food industry are truly factory-made science projects which affect our taste buds, hormones, and metabolism. The problem with highly processed foods is, they are usually loaded with sodium for shelf stabilization, sugar for taste or added fats, including saturated and trans fats, which are always bad news. So I say again eat whole foods, fresh and natural. Do you know over 60% of our body is made up of water? Water is needed by every living cell and almost every process that takes place within the body is dependent on water. Water as out of a tap or in a bottle. Aim to drink at least 2 litres every single day. I carry around with me a water bottle and refill it 3 or 4 times throughout the day. Every time I am thirsty I take sips from my bottle, instead of making myself a coffee. When I feel hungry I drink water which generally satisfies me, so I don’t snack between meals. Water is the most important drink for us to consume if good health is what we want. Dehydration can cause fatigue, reduced motivation, and mood swings. Water provides numerous health benefits and is probably natures number one medicine for the human body. So get drinking! Shakespeare described sleep as “the chief nourisher in life’s feast”, acknowledging that for most of us sleep is essential for keeping body, mind and spirit in good form. Getting enough quality sleep is vital if you want to live a healthy lifestyle and contributes to how we feel and the overall quality of our lives. Most sleep experts recommend 7-9 hours of sleep per night. Although some people can get along with less sleep, others find they need as much as 10 hours per night to feel rested the next day. • Give yourself at least 30 minutes relaxation period before bedtime so to disengage your mind. • Do not drink a very large amount of any beverage too close to bedtime, which will cause you to wake to empty your bladder, thus disturbing your rest. Low-impact physical activity is an important step to rebuild your strength and stamina. Depending on the seriousness of your health problem you could go for a leisurely stroll, do some light stretching or take a swim. If you’re stuck in bed, do some very gentle exercises to get your blood flowing and release tension in your muscles. Whatever activity you choose, don’t push yourself too hard. Walking is great, doing restorative yoga classes, stretching and taking stairs when they are around are all good. Every little bit of movement counts. Find an exercise plan that is suitable for you, and as you build up your strength, you will be able to do more exercise. 30 minutes most days of the week of physical activity is essential for your health. You could do walking, jogging, cycling, swimming or dancing. This is what you each need to build up to. You can also try high-intensity interval training, which involves alternating short bursts of intense activity with subsequent recovery periods of lighter activity. Also strength training for which there are numerous benefits and is another exercise ultimately you should introduce into your routine. Whatever it is you choose to do, choose something and make exercise a regular part of your life. You knew this was coming. Now be fair I’m not saying you need to totally eliminate it, just limit how much you drink. Alcohol can be both good and bad for your health. By drinking alcohol only in moderation — generally one drink a day for women, or two a day for men — you can potentially lower your blood pressure by about 4 mm Hg. One drink equals 12 ounces of beer, five ounces of wine or 1.5 ounces of 80-proof liquor. I certainly don’t advocate drinking every day, but a couple of days a week at the maximum would have no detrimental effects on your health. This is a habit that is killing you. Simple. Smoking is the greatest single self-inflicted risk to health of all. It causes things such as respiratory illness, coronary heart disease, cancer. Research shows that young children who have one or more parents who smoke are twice as likely to suffer with chest problems in their first year of life. They will have more chest, nose, ear and throat infections than children whose parents do not smoke. They are also more likely to take up smoking themselves later in life. Smoking kills around 120,000 people prematurely in the UK every year – more than 13 people every hour. It is also responsible for many diseases, including cancers, heart disease and stroke. I could go on and on about the dangers of smoking. The only thing I cannot give you is a single benefit or good reason for smoking. This is very simple, smoking is incredibly bad for you. You want a healthy lifestyle you can’t smoke, SIMPLE! If you don’t smoke, then don’t start. If you do smoke you can lower your health risks by stopping. Talk to your doctor about medicines to help you quit or to find out about Nicotine Replacement Therapy. The health benefits will start immediately once you quit smoking. Managing stress can improve your emotional and physical health and lower high blood pressure. Stress management techniques include exercising, listening to music, focusing on something calm or peaceful, and meditating. Life is going to bring stress, that’s a sad fact. Not dealing with that stress can do serious harm to your health. In fact it is the number one reason for people missing work. I recently wrote an article that shows the best ways to manage yoiur stress. Can You Avoid Stress? If Not Here Are 12 Key Steps To Reduce It! Energyless, frustrated, fed up … down. There’s a problem in itself. Negativity vwithin our mind effects our body negatively. It becomes a vicious circle. One of the most important tools for living well is adopting a positive mindset. Programme your mind for positivity. Not letting anything knock you of course, or make you question its possibility. I promise you, by taking control of your thoughts, you will improve your life in a big way. In minds crammed with negative thoughts, there is just no space for anything else. Spiritual health is a highly individualized concept that is measured by the amount of peace and harmony an individual experience in his day-to-day life. In its simplest but crucial sense its where you find meaning in your life and happy with your place in it. So, cultivating Spiritual health means finding your life purpose. Ask yourself the following questions: Do you have a sense of purpose or meaning in your life or do you have feelings of emptiness, anxiety, hopelessness or apathy? The human spirit is the most neglected aspect of our selves. Just as we exercise to condition our bodies, a healthy spirit is nurtured by purposeful practice such as taking time to reflect on the meaning of events in life and finding a true meaning for your existence. If you have been suffering from poor health for quite a while or struggling with energy or even just seem to have no get up and go then implementing most of these suggestions will help transform your life. Do yourself a favour and give them a go. By making the conscious and deliberate decision to eat more healthily, move more, drink lots of water, sleep for 7-9 hours daily, drink within healthy limits and try to give up smoking, think positively and get in touch with your spiritual purpose in life you are giving yourself the best chance of avoiding a variety of health problems including diabetes, hypertension, heart disease, lung conditions, strokes and cancer, to take control of your health .